Before you stop by for a test drive at Kareem Auto Sales Inc in Sacramento, check out our used vehicle inventory! Once you find a model you like, use our online car payment calculator below to get a close estimate of your monthly car payments. Simply input the vehicle’s price, along with a down payment or trade-in value amount. Next, adjust the car loan rate and loan term until you get an affordable monthly payment. It’s that easy! Our finance team can help you find a car that’s within your budget, so you can cruise through Elk Grove in a car that you both love and can afford. 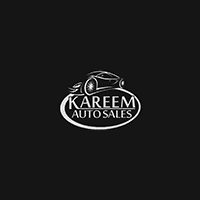 How Does Kareem Auto Sales Inc Make Online Car Shopping Easier? Contact us if you have any questions about how to use our car payment calculator, or wish to test drive any of the vehicles in our inventory!